Karnataka Secondary Education Examination Board relesed the Supplementary Exam Date Sheet for 2014. KSEEB declared the results for IInd PUC Exam 2014 on 8th May 2014. Nearly 6.13 Lakh students appeared for the Exam on March 2014. Nearly 3.17 Lakh students passed the 2nd Pre University Certificate Exam 2014 the pass percentage is 60. KSEEB is giving another chance for the failed candidates to clear the exam and apply for higher studies like BTech, BCom etc. 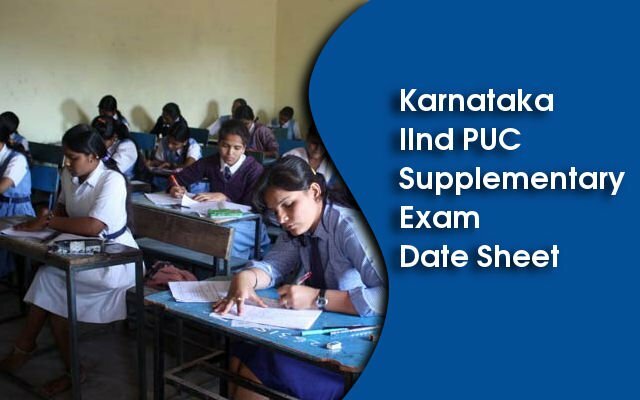 KSEEB IInd PUC Supplementary Exam Date Sheet is available now. The Karnakta 2nd PUC Examination Supplementary Exam will start on July 2014. The morning session examinations are from 9:00 AM to 12:15 Noon and the Afternoon session will be held from 2:00 PM to 5:15 PM. Candidates can submit the exam fess and the application for supplementary examination at their respective college. Last Date for submitting the application is on or Before 22nd May 2014. Examination fee for Karnataka 2nd PUC Supplementary Examination 2014 is Rs 101 for one subject and Rs 302 for three or more subjects. This 2nd PUC supplementary examination will be conducted for all streams together like for Science, Commerce & Arts.